"I tell you, if they keep silent, the stones will cry out!" Jesus, who so often in the Gospels tries to hide his true identity, speaks thunderously to the Pharisees who would still the rejoicing crowd. At the Last Supper, Jesus confirms the Messianic promise to his disciples, saying "I confer a kingdom on you, just as my Father has conferred one on me." Yet, before the night is over, Jesus has been betrayed. We hear the tragedy unfold in Luke's Passion narrative. Jesus is abused by the council of elders, denied by Peter, whipped by Roman soldiers, and condemned to death by Pilate. But what else do we see? Jesus heals someone who came to arrest him, forgives his torturers, promises a repentant man paradise, and - by his loving endurance - converts a centurion at the foot of the cross. Jesus is both Redeemer of the World and Suffering Servant. In taking on the mantle of Messiah, Jesus does not only receive our praise and our accolades, but he bears our burdens and sins and does so with the deepest love. He may go about our salvation in a paradoxical way, but he is dearer to our own suffering hearts for it. 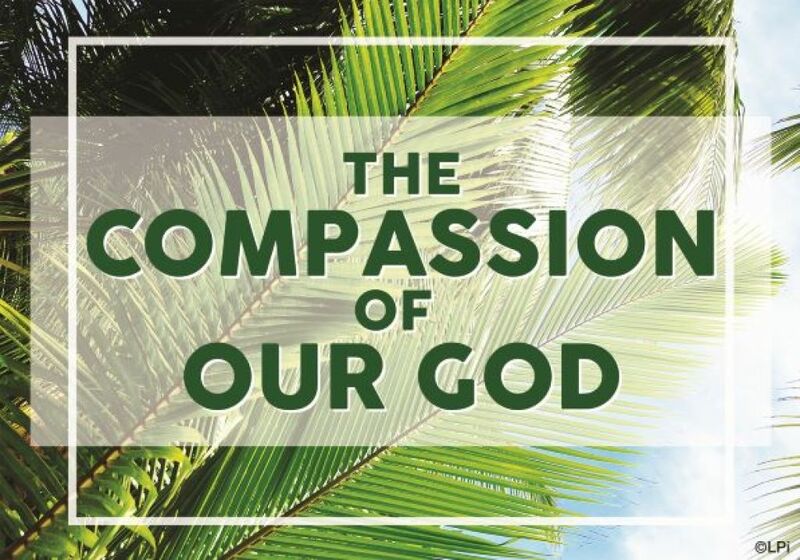 This week, we remember that no sorrow of our own is beyond the reach of the compassion of God.